Doctor Govinda KC is an orthopedic surgeon from Kathmandu who has been a champion of reform for medical education in Nepal. He is a professor at TU IOM. He has been willing to dramatize this issue by going on hunger strikes, five times in the past. He’s been able to mobilize medical students at TU IOM. His effort have led to investigational journalism to expose the “medical mafia” of Kathmandu, and also led to the government-appointed Mathema Commission” which produced the “Mathema Report” named after the Chairperson. The journalists have pointed to the involvement of political figures in “buying” the license to run these colleges. Dr GKC’s most recent hunger strike was September 2015, and he suspended it when the government agreed to an eleven-point list of demands. 3) Form a ‘search’ committee without political representation to appoint office bearers in universities and other health councils. 7) The government should probe into the extended programme of Dev Daha and Birat Medical College and take action against KU officials. 10) Dispatch a letter to KU stating the representation of professors in KU senate. In September 2015, there was a surprising twist. Within a day, “The Association of Private Medical and Dental Colleges of Nepal” held a press conference, and presented a five-point plan of their own, saying that many medical colleges in Nepal would go bankrupt if the eleven-point plan was implemented. This has been hinted at in the past, but now has been stated more forcefully. 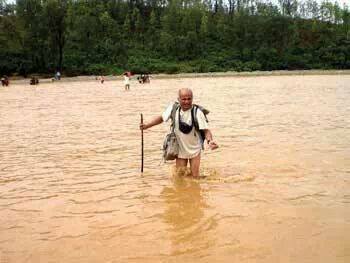 Half the population of Nepal lives in Terai. All the medical schools in Terai are non-governmental, i.e., “private” – and I should add, in this region of Nepal there is a higher per centage of Hindi speakers. Aug 9, 2015-An organisation of private medical colleges has expressed concerns over some of the points in Mathema-committee report, arguing that it would weaken the existing medical colleges and might be detrimental if it is implemented in haste. The Association of Private Medical and Dental College of Nepal on Saturday asked the government to review the Health Profession Education Policy in such a manner that the ‘fate of private medical colleges are also secured’. For me, this caused a re-evaluation. Problems in Kathmandu are one thing. There is a distinctly different set of problems faced by medical schools in the Terai. From Nepali Times. 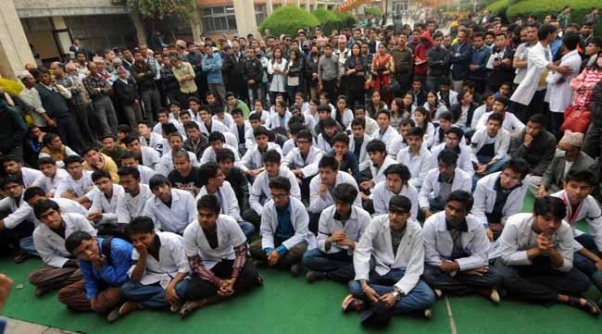 There twenty one medical colleges in Nepal, one third are in the Kathmandu Valley. This map does not include Karnali Academy of Health Sciences in Jumla. How can the proposals be decided so as to promote medical education around the entire country? The petrol crisis has highlighted the needs of Terai. All of this was put on hold during the Petrol Crisis. But in January 2016 a bill was put up for discussion in the new Parliament that would authorize “Man Mohan Medical College” in Kathmandu to begin construction of a teaching hospital in Kathmandu. This was exactly against the prior agreement with Dr GKC and his supporters and the Mathema Commission. Doctor GKC has now met with the Prime Minister, and will begin a new hunger strike in two weeks (January 20th) if progress is not made. This is the first of a three-part series of diaries. The next part will review the current status medical education, and the third part will address some other concerns specific to the Terai. This entry was posted in medical care in low income countries, medical volunteer in Nepal and tagged #IamwithDrGKC, Mathema Report Nepal, MBBS in Nepal, MMIHS, Nepal Medical education, Nepal medical mafia. Bookmark the permalink.